Dr. Christine Wai graduated from The Chinese University of Hong Kong with first class honours in Biology in 2010. She pursued postgraduate studies and research at The Chinese University of Hong Kong and was awarded her Ph.D. in Biology in 2015. She then received her postdoctoral training at The School of Life Sciences, followed by the Department of Paediatrics in the same university. Dr. Wai’s research interest has been in the field of seafood allergy, specifically in designing diagnostic platforms, safe and effective therapies for the prevention and treatment of shellfish allergy and define the mechanisms of immunotherapy. 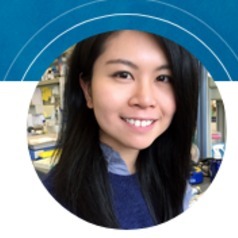 Dr. Wai was awarded the AXA Post-Doctoral Fellowships 2017 campaign to conduct a project on elucidating the efficacy and modulatory mechanism of next generation hypoallergen DNA vaccines.